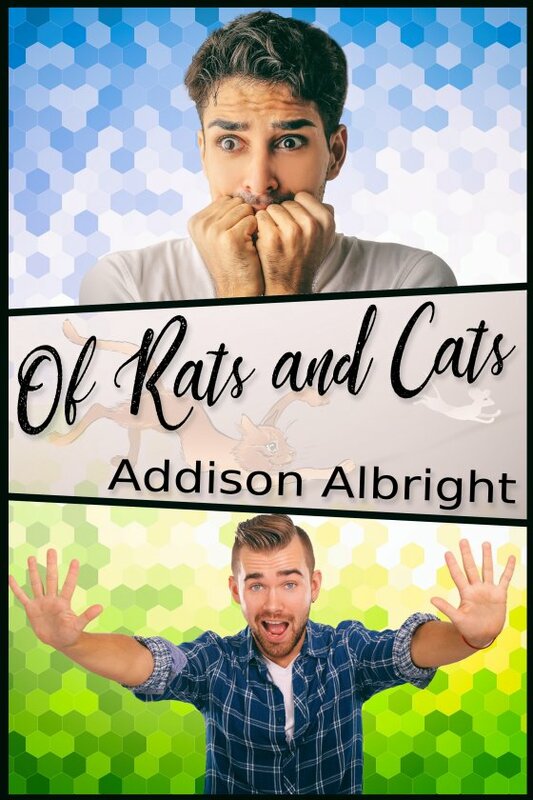 Of Rats and Cats by Addison Albright is now available! All he wanted to do was retrieve his newspaper, but Raymond is panic-stricken when a rat dashes through his open apartment door. No worries, though. Pandy is on the job! Except Kevin doesn’t want Raymond’s cat to eat his beloved pet … mouse. Can Kevin rescue Corky before Pandy gets to her? Will Raymond’s upturned box of … um … personal toys and videos drive Kevin away, or will the pile of filigree undies Corky has burrowed into turn Kevin on?